Second, the structure of the financial system has shifted, with dramatic growth in financial activity outside the traditional banking system, such as in the market for asset-backed securities. In theory, securitization should serve to reduce credit risk by spreading it more widely. But by breaking the direct link between borrowers and lenders, securitization led to an erosion of lending standards, resulting in a market failure that fed the housing boom and deepened the housing bust. reduce investors’ and regulators’ reliance on credit-rating agencies; and, perhaps most significant, require the originator, sponsor or broker of a securitization to retain a financial interest in its performance. The second target, and the one that G&S do seem to be talking about, isn’t the orginator of the mortgage, but the bank that buys up all the mortgages and originates the mortgage-backed security. They want these guys to be forced to keep a piece of the security on their own books instead of selling the entire thing to third parties. 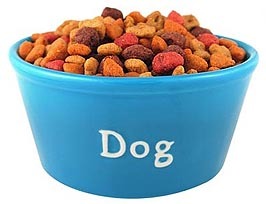 The idea is that if they have to eat their own dog food, that should make them a little more careful about quality control. But the devil is really in the details here, and there are at least two big problems. First, most MBS originators did keep pieces of their own securities on their books. It didn’t do any good because they were deluded about the quality of the stuff they kept. Second, even if banks are required to keep pieces of their own MBS that they otherwise wouldn’t, what’s to stop them from hedging away the risk? You can’t really forbid a bank from buying hedging instruments, and the rocket scientists (once they’ve dusted themselves off and come out from under their desks, which shouldn’t take more than a year or two) will have no trouble creating a blizzard of derivatives that appear to take all the risk out of the snippets of MBS that banks are required to hold onto. And once they’ve done that, you’re just a tiny jump away from the glory days of 2005. This, of course, is the basic problem with all regulatory reform: whether or not it works is enormously dependent on minuscule details written into 1000-pages legislative tomes. Obama’s team has apparently already decided that they need to take a pretty cautious approach to this, and once it gets through the congressional sausage factory we’ll be lucky if anything serious is left at all. This is, needless to say, a process that deserves a ton of attention from a watchful public, but how likely is that? After all, I hear that Jon and Kate might be splitting up.